I think it was more close to pecan pie filling. Instead of opening a can of sweet potato puree I roasted one in the oven. Well I was roasting a few anyways for us to eat so I threw in an extra one for the cupcakes. Love the orange color. See how the streusel baked in and its just the pecans? They still tasted amazing but not exactly the look I wanted. Marshmallow frosting is so good. Not like the tasteless, nasty marsmallow fluff you can buy in a jar at the store, but light and vanillaey and creamy. Like this actually reminded me of the lava flows you see on TV on volcano specials. Cool looking but totally not appetizing. Except when I make s'mores I totally set the marshmallow on fire and it looks like this and I eat it. ha ha. So I watched them a little closer this time. Some still burnt a little but not too bad. Preheat the oven to 350° F. Line two cupcake pans with paper liners. In a medium bowl combine the flour, baking powder, baking soda, salt and cinnamon; stir together with a fork and set aside. In the bowl of an electric mixer fitted with the paddle attachment, cream together the butter and sugar on medium-high speed until light and fluffy, about 2 minutes. Beat in the eggs one at a time, scraping down the bowl after each addition. Mix in the sweet potatoes and vanilla extract, beating just until combined. Reduce the mixer speed to low and add the dry ingredients, mixing just until incorporated. To make the frosting, combine the egg whites, sugar and cream of tartar in the top of a double boiler. (Note: I just set my clean, dry mixer bowl over simmering water, to avoid dirtying two bowls.) Heat the mixture, whisking frequently, until it reaches 160° F with an instant-read thermometer. Transfer the mixture to the bowl of an electric mixer fitted with the whisk attachment. Whisk starting at low speed and gradually increasing to medium-high speed until stiff, glossy peaks form. Mix in the vanilla until combined. Frost cooled cupcakes as desired. For the pecan streusel I used a mixture of all purpose flour, brown sugar, butter, cinnamon and pecans. I don't remember the exact amounts which is because I made it up instead of following a recipe. Next time I will follow a recipe. And not broil them. You ever have one of those mornings/days/nights when you REALLY want a cupcake, or two in case you have someone to share them with, and you don't want to make a whole batch be it box mix or scratch but you want a cupcake. And you want it bad? Well a friend of mine, who is a fellow cupcake fan, showed me this post from How Sweet It Is blog a few weeks ago. A recipe that makes JUST TWO CUPCAKES. No making a giant bowl of batter and baking only two. But enough batter to make just two. How awesome is that??? And in her post she says its a one bowl cupcakes for two but with having to melt butter in something I can't call it a one bowl process. Maybe a one big bowl one smaller bowl. And her recipe is for vanilla cupcakes which I made first and loved and then I adapted the recipe to make chocolate cupcakes for two. Also using one big bowl one small. So here are my pics of the process for the vanilla cupcakes. Also bonus here is since there aren't many ingredients this takes just a few minutes to whip up the batter. Takes longer to preheat your oven!! you want to know what's insanely tasty? Oreo whipped cream. The cupcake was kind of flat ( I like more of a dome) so I compensated with a sky high swirl of frosting. I liked these better than the vanilla. Has nothing to do with the gal that came up with the vanilla. Those were good. I liked how the chocolate were a bit denser and moist. The vanilla I made were a little drier and lighter. Here are the recipes for the cupcakes only. For the frostings I just winged the Oreo whipped cream and already had the coconut frosting on hand. So frost with whatever you want. Melt chocolate chips in a small bowl in microwave 30 seconds at a time until melted. They will still hold chip form so stir when they are completely melted. Set aside. In a bowl, add egg white and sugar and whisk until combined. Add in extract and oil and stir until mixed. Add in melted chocolate. Scrape into the bowl with a spatula since the amount isn’t much. Add flour, cocoa powder, baking powder and salt and stir until smooth. Stir in milk. Divide batter equally between the two cupcake liners. Bake at 350 for 15-20 minutes, or until cake is set. Let cool completely, then frost as desired. My notes: This makes 2 cupcakes depending on the size of your muffin tin. I have two that are slightly larger than my others so those the batter doesn’t quite make it to the top of the liner. My smaller tin the batter fills the liners completely with none left to make a third. The first time I made these as the one bowl vanilla cupcake recipe I didn’t fill the other spaces with water and the cupcakes came out really flat. This time I filled them just under halfway with water and I sprayed a bit of nonstick cooking spray around the edges of the two spaces where the cupcakes were going to be baked so in case they poofed out onto the edges they wouldn’t stick. Also these took me 20 min to bake not 10-12 like the vanilla ones did. But even with those mine weren’t done until 15 min. Just depends on how long you preheat your oven and if it has even heat all throughout or if there are hot spots. Since you are making just two cupcakes its easier to make sure they get baked directly in the middle of the oven. Also since the chocolate chips aren't that many I think next time to make it easier to scrape them out of the bowl once melted I will add the oil in with them and then melt and cool. That way they're easier to scrape out. I have been doing some cupcake baking research lately since I had a recent batch of cupcakes ( to be blogged soon!) that didn't puff up with the nice dome that I normally strive for. So I tried to figure out why this happened. Was it because I didn't fill with enough batter? Did I over mix? Were they under baked and shrank when cooling? So I decided to look around online and see what people had to say about how to achieve the perfect dome on scratch baked cupcakes. One of the first items I found was ingredient order. Some sites said to not do the typical creaming of the butter and sugar at first, if you are using a butter sugar method. One of my favorite sites, Cake Journal has an excellent tutorial HERE about this method. I have recipes which do the creaming butter and sugar first method, some add melted butter later and some are with oil and no butter at all. The recipe that instigated this research was a butter and sugar creaming first recipe. 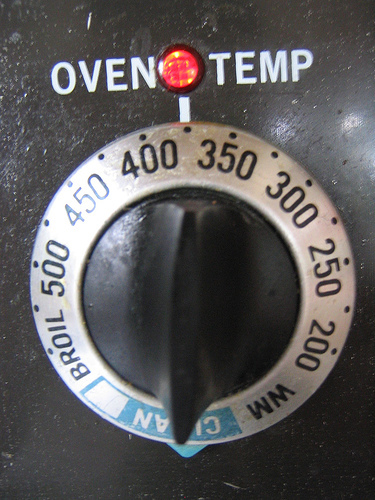 Another method is oven temperature. How long the oven is preheated. Not just get it to 350 Deg F and pop in the pans but really heat the oven for a while. Is there an oven thermometer inside the oven to ensure that the oven is indeed at that temp? Are there hot or cold spots in your oven? Some people rotate pans halfway through baking to make sure the cupcakes bake evenly but opening the oven door can cause cupcakes to fall flat. At least doing so before 15 min of baking and a lot of my cupcake recipes are done at about 15 minutes. Another factor could be your leavening agent's age. 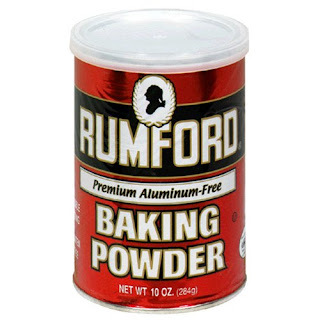 How old is that baking powder/soda? Older powders might not be effective anymore. Try to keep as fresh as possible. And when a recipe says to have ingredients at room temp have everything out of the fridge and measured out and on the counter for a while. Maybe a couple hours ( unless in the middle of a 100 deg summer!) And when the batter is ready have it sit 15-20 min to let that baking powder start its magic. Once that time is up bake the cupcakes and see if that helps. And another factor I found out about is pan color. I read that lighter colored pans don't produce cupcakes with the nice dome as well as darker pans do. The darker pans heat quicker and keep the heat more even. So you know what I did today?? That's right. I bought NEW cupcake pans. I have two sets of cupcake pans. One pair is a darker metal that is from Baker's Secret that I have had FOREVER, and the other is a lighter aluminum from Wilton. The Wilton pan's cups are smaller than the Baker's Secret pans so I have more issues with my cupcake paper liners buckling. The Baker's pans are larger cups and take more batter. So for a recipe yielding a dozen cupcakes I would get 9 maybe 10 out of that pan. I have been discussing this with my friend Stephanie over at Sweet Creations by Stephanie and she sent me a pic of her pans she had. They are Wilton pans, but darker than the ones I have. She raved about them so I ran to Bed Bath and Beyond today and picked some up. 4 of them to be exact. With coupons of course. And I cannot WAIT to bake with them. I like how there is more of an edge on each side to grab the pan without sticking a hot mitt right into a freshly baked cupcake ( or batter if heading in to the oven) and these are heavy too. Heavy is good. Plus they just look nicer than my old ones. My old pans are being retired and I will use them as flower formers for my gumpaste and fondant flowers. The pans can be found HERE . I just so happened to have time to run to Bed Bath and Beyond today to get them and was stoked they had them. But obviously they can be ordered online as well. I will be experimenting with the other techniques I mentioned above and will report back soon with my results. I have lots of fun things I have been making lately and will be blogging a lot more soon.